NASA recently launched a supply cargo into space for the International Space Station (ISS). Among the supplies were packets of specifically designed food. Some space foods have probiotic supplements added in to improve astronauts’ digestion and ability to absorb nutrients. But, supplements added into Earth food then sent into space is just the beginning. Scientists are attempting to grow fruits and vegetables in space that are safe to eat. 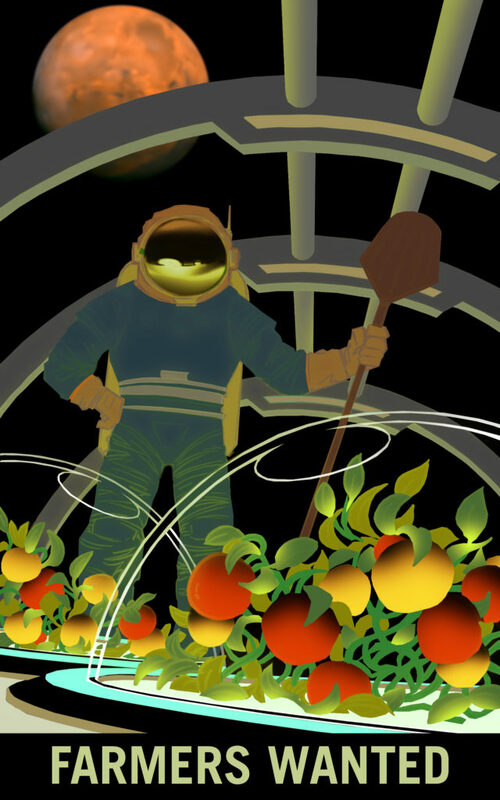 When space agriculture works, astronauts will have access to more nutrient rich foods. Food prepared for space travel loses nutrients during processing. Food loses nutrients the longer it is in space. Additionally, access to fresh produce adds variety to astronauts’ meals. The ISS has a small garden on board where they grow a limited variety of veggies and flowers. The crew tests the growth and nutritional value of produce grown in the garden’s micro gravity. They want to find the best way to grow plants where there are no soil nutrients. Tests are currently limited to the space station. Yet, space farming may be the key to colonizing Mars. Scientists cite the lack of healthy farming soils as a major (among a few) issue they need to tackle before sending people to Mars. Now, we’re not saying you and a bottle of SCD Bio Ag will be making a trip to Mars anytime soon. But one small step for microbial additives is one large step for mankind. Have you seen the prices on groceries lately? OUCH. We’re all on a budget, and sometimes we simply can’t afford all the delicious meats, fruits, and veggies we want. To make matters worse, organic foods (foods that are free of pesticides/antibiotics) are even more expensive– an average of 47% more expensive, actually. That can really add up for families! It seems we are always left with the choice of inexpensive and dirty or pricey and clean. But did you know even though some foods can be bought as organic, they do not actually need to be to ensure safety? To help you on your next shopping trip, take a look at our list of foods that are safe to buy inorganic! Since they contain a rather thick outer-layer, the harmful pesticides can rarely penetrate through the rind. Just remember to wash the veggie before cutting so the knife doesn’t spread the germs on the outside to the inside! There are technically no USDA organic standards for seafood of any kind. “Organic” seafood tends to promise lower levels of mercury and a cleaner harvesting process, but that isn’t quite regulated yet. Until it is, just aim for fish that has low levels of mercury– the only thing in fish that could be of harm to you or your family. Tuna has some of the highest levels of mercury, so be wary of how much tuna you and your family consume! 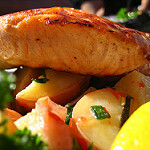 The “light” tuna option tends to have much less mercury, so aim for that! According to a study by EWG, 98% of sampled onions from the store (both organic and inorganic) were free of pesticides and other harmful chemicals. Since they grow underground, they rarely get hit with chemicals to keep bugs and pests off; when they do, their many layers protect them from over-exposure. Wash them thoroughly before using and you should be fine! Believe it or not, this fun and tasty grain doesn’t actually need pesticides– its outer layer is bitter tasting which deters any critters. If the farmers do use chemicals, those same out layers keep the pesticides from breaching. Kinda cool, huh? When buying quinoa, always wash it thoroughly before use. You probably could have guessed this one! Nothing is going to try to penetrate that scary-looking armor on the outside of a sweet pineapple, not even pesticides. Since the rind is almost never eaten, you can spare to buy these items inorganic as well! Although organic food has tons of benefits to the environment and to personal health , there are some areas where you can keep to inorganic food and still be low-risk! And your wallet will thank you. It is always important to wash your produce before cutting or slicing. 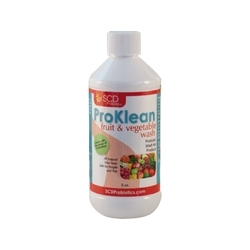 Our recommendation is to soak the produce in SCD ProKlean Fruit and Veggie Wash and water (at a ratio of 1 tablespoon per 1/2 gallon) SCD ProKlean Fruit and Vegetable Wash contains live probiotic bacteria that will minimize the existance of any bad bacteria while keeping the good! Soak for 10 minutes and then rinse with pure water. It is sure to help keep your home and kitchen clean! 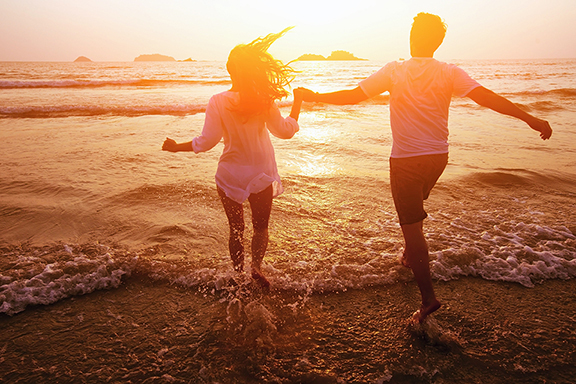 We’ve been prepping all summer to hit that beach or pool in confidence. We’ve changed our lifestyle, watched our diet, and maybe even dabbled in some exercises in between Winter and Spring holidays (who else is still feeling that Easter Candy?!). But no matter what preparation we’ve embarked on, sometimes we still can’t avoid a little extra fluff on our tummies. You know…. bloating. Even the fittest people on the planet still experience a puffy, sometimes gassy stomach, some more severe than others. (Check out Fitness Guru Emily Skye and her battle of bloating). But there are ways to prevent or treat a bloated stomach so that you can love the skin you’re in this summer! Although too much water can make your tum stick out a little further than usual, not getting enough water can do the same! When you’re not drinking enough water, your body begins to retain fluid to keep you from getting dehydrated, causing your little pooch. Foods (AND DRINKS- we’re looking at you, diet soda drinkers) that are high in sodium can make you puff up. You’d be amazed how many different foods contain a lot of sodium: canned soup, pizza, diet sodas, anything with artificial sweeteners, citrus fruits, alcoholic beverages, leafy greens…. the list goes on and on! So how do we avoid the bloat? Moderation. You can have any of these foods, just don’t over-indulge before your bikini-body debut. When you’re on vacation or during the weekend, it’s hard not to find motivation to do just about anything; however, sitting around doing nothing makes your bowels and digestive system do the same, causing you to hold in all that food and drink and stall your digestive process– this will make that tum balloon up super quick. Even just a 20-30 minute walk or jog per day can help jump-start your metabolism and keep your digestive system on track, keeping your tum where it’s supposed to be. We know that fiber is one of the best ways to clear out our system and make us feel less sluggish after eating an entire pizza. But did you know that too much fiber can actually cause bloating?! Once your body has reached its max, the fiber because nothing more than gas, making your stomach inflate faster than your inner-tube. 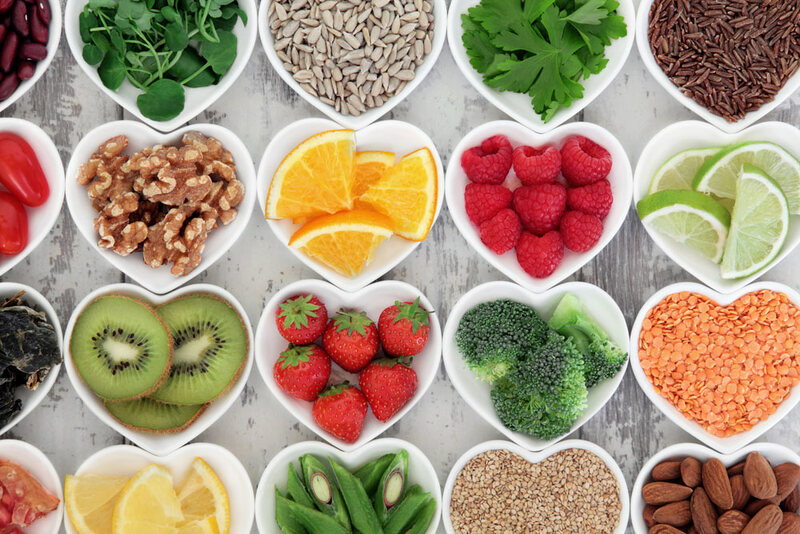 Experts say that a person should have 14 grams of fiber per 1000 calories consumed per day. So, do the math and don’t over-indulge on your fiber gummies. If you do feel that your digestive tract is a little off, try taking some probiotics to sooth your stomach and jump-start your digestion. Overall, don’t worry about the looming day at the beach; be proud of your body, no matter what! To feel a little more light-footed and ready to tackle the warm sun and sand, be sure to avoid those bloat-causing foods that can make any person feel a little too much like a beach ball. Get plenty of exercise, and stay hydrated! Your body will thank you. You know your face better than anyone; you know what breaks you out, dries you out, and what causes irritation. You know when to wash your face, how to wash your face, and most importantly, which products to steer away from. The biggest question out there for most of us then is: which product can we use? We all have long lists of what doesn’t work, but most of us struggle to find what does…. until now, anyway. A recent study show that topical probiotics can actually rid your face of bad bacteria — the bacteria that causes acne. “Results show that lactobacillus extract was effective in reducing skin erythema, repairing skin barrier, and reducing skin microflora, thereby exhibiting an effective reduction in acne lesion size.” Translation? Applying probiotics containing lactobacillus can help reduce redness and irritation. In addition, it can repair skin’s texture and reduce the size of existing acne lesions. Interested? There’s more. In patients with acne and rosacea, living microorganisms on the skin are recognized as foreign by the body’s immune system. The immune system springs into action to counter this potential threat resulting in the inflammation, redness, or bumps common in these skin conditions. Probiotics applied topically sit on the skin’s surface and prevent the skin cells from seeing the bad bacteria and parasites that can cause this immune system response. This is known as “bacterial interference,” as probiotics protect the skin and interfere with the ability of bad bugs (or bacteria and parasites) to provoke an immune reaction. Sometimes the substances produced by probiotics have antimicrobial properties, meaning they can create holes in bad bacteria and kill them. Similar to the way antibiotics work in the treatment of acne and rosacea, probiotics can help fight harmful bugs from triggering inflammation. Researchers now are testing probiotics to determine which ones make the substances that can kill bad bacteria. When certain types of probiotics are placed in contact with skin cells, they calm the parts of the cells that may want to react to the presence of bad bacteria that they see as a threat. 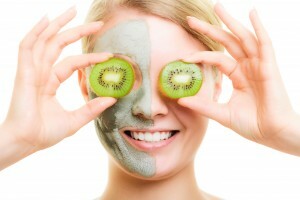 Are you ready to try a probiotic face mask? Here’s what you will need! Mix ingredients and apply directly to a clean face. Rinse thoroughly with warm water and pat your face dry with a towel or cloth. Repeat twice a week for a few weeks (until you see results), then lower it to once per week or once every two weeks, depending on how well your skin is responding! ** 1 drop of peppermint = a light fragrance; 2 drops of peppermint = light fragrance, subtle cooling sensation; 3-4 drops of peppermint = strong peppermint fragrance and intense cooling sensation (when using this dosage, avoid proximity to eyes as it is not tear-free!). Try different essential oil combinations depending on your skin type and olfactory preference. Or try applying this mask to your hands and feet for a cooling sensation that also provides much needed moisture and beneficial microbes. Like the gut, researchers have found that your skin is populated by diverse colonies of microscopic organisms. This Probiotic Face Mask will provide cooling relief to your face, replenish the skin’s microbiome with good organisms and prevent breakouts associated with dirt and bad bacteria. Imagine picking fresh, ripe strawberries right off the vine. You wipe off the dirt to reveal the prize; they’re plump, they’re juicy, and they’re going to help you create the golden fleece of fruit salad. Then, right before you bite into the freshness, someone comes by and pours chemicals all over the berries. Would you still eat them? What if I told you that you have been contaminated by produce most of your life? 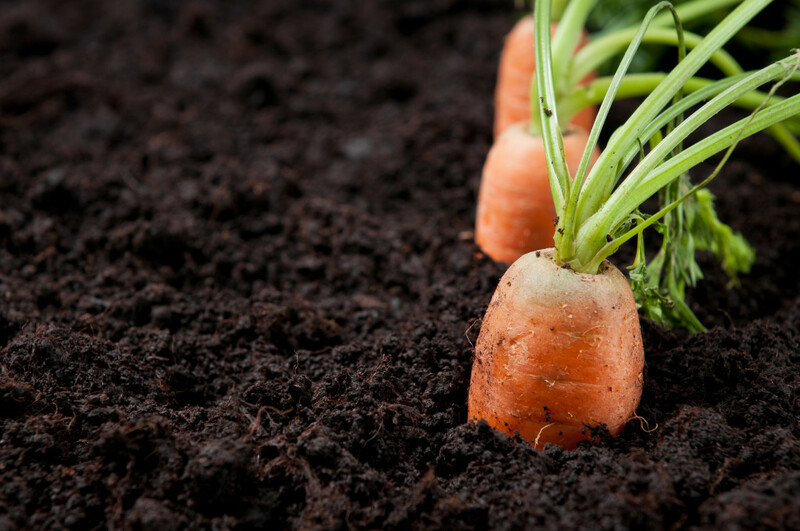 Unfortunately, after World War II, farmers began using soils that were filled with harsh chemicals that were to be used to repel insects and rodents; however, what they didn’t know was that these chemicals in the dirt were also depleting the nutrients in the produce! This depletion means that our food isn’t giving us the proper amount of nutrients per caloric intake, resulting in a deficit of protein, calcium, potassium, iron, and many more. Not only that, but research shows that these types of chemically-filled dirt also affect our planet- the greenhouse gases in these soils are dramatically increased, causing much higher emissions of CO2 and Methane. In response to this disparity, a lot of farmers are adopting organic practices into their farming techniques, such as using all-natural soils and compost. Although these organic foods tend to be pricier, the overall benefit to your body (especially us health nuts out there) is priceless. Along with that, the impact on the environment with this type of organic farming is much smaller, leaving a less noticeable carbon footprint and helping our beautiful earth in the long run! If spending the extra few dollars on organic foods (which can easily add up!) 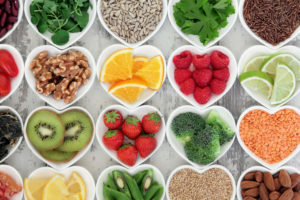 is not in your budget, perhaps supplementing the nutrients with a multivitamin or immunity booster can help your overall health, keeping your body and wallet happy. For more information on the benefits of probiotics for agriculture, check out our website! Tanning: It’s not just for the Summer! Since the middle ages, people have tanned the hides of animals to make leathers to be used for furniture, clothing, and decoration. Unfortunately, the chemicals used by tanneries to create this luxury have proven to be harmful to human, animal, and planet health. With the sustainability of Earth now at the top of every country’s priorities, tanneries have begun to get a bad reputation for their work, despite the efforts made to shrink the environmental impact of these businesses. The use of mercury, arsenic, and selenium are all chemicals used in the practice of tanning leather— well, they were 60 years ago. Now, these dangerous chemicals have been replaced with saline solutions, or chemicals that contain salt as their tanning agent. Probiotics are key! New research has shown that using Probiotic solutions specifically designed for tanning leather has decreased pollution, smell, and overall harmfulness of tanning leather. This solution helps make the leather more flexible, returning it to a more natural-feeling state while ensuring that the harsh chemicals are not present to harm you, your family, or the environment! Overall, tanning can now be seen as not completely detrimental to society and our sustainability. 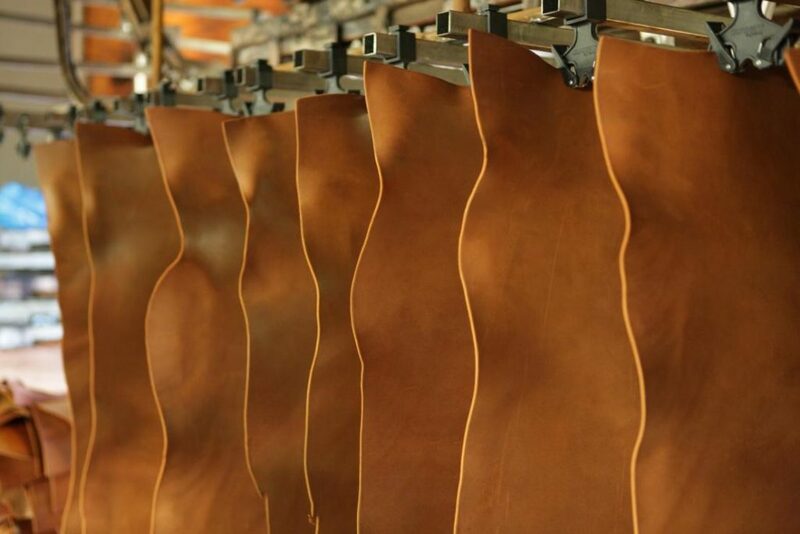 With these new advances, and more progress being made every day, the practice of tanneries will soon be out of the headlines, with higher quality leathers made by probiotics coming to you soon. Acne. The manifestation of teenage (and adult!) angst, stress, and worry. Unfortunately, unless you’re willing to drop major bucks on treatment, acne is pretty tough to get rid of. With some of the causes being out of our control- such as environment and hormones- it can get frustrating to wake up to blemishes that you can’t control. Or can you? When we see a zit, most of us go into fight-or-flight mode, picking away or covering up until we actually damage our skin. Instead of that approach, let’s try to treat our face like the rest of our body. When our body is sick, we treat it, hopefully with something natural, such as herbs or probiotics. So why can’t we do the same for our face? Probiotics work in our bodies by using good bacteria to combat the bad. If the cause of acne is bad bacteria, couldn’t we use probiotics for acne on our faces? Experts say: absolutely! This isn’t a new idea; Prevention states that “in 1961, a case report found that of 300 acne patients given a probiotic, 80% had clinical improvement.” So why isn’t this stuff all over the shelves? Unfortunately, this type of treatment is more over-the-counter, and therefore doctors usually will refrain from using it. Also, the stigma around using “natural products” doesn’t seem to help when frantic teens and young adults are searching for acne relief quickly. Maintaining a healthy lifestyle is essential to keeping a clear face; drink lots of water, exercise, and watch your sugar/fat intake, as these have an effect on our skin. If your acne seems worse than everyone else’s (which we assure you, it isn’t) then treatment may be the best option for you. Instead of using harsh chemicals that are bad for our faces and environments, try using probiotics for acne! Oral supplements are available for any budget and will help clean out any toxins in your body. Some topical treatments can be a little more expensive, but their reviews online are astounding! As stated before, 80% of individuals that use this type of treatment see very fast relief/improvement, so it’s worth a shot. Remember: if you keep your gut clean, the rest of your body will follow. Probiotics: Your Workout X Factor? Getting more from your workouts. It’s what every athlete ultimately wants. And while there are tons of theories floating around Pinterest boards and health journals about the best workout additions, it all boils down to what works best for you. With that in mind, we figured we would throw another theory into the mix. Bacteria. Yup, researchers are now looking to probiotics as a tool for athletes to enhance their workouts. Any athlete knows that a strong immune system is central to a stronger self. But here’s a piece of information you may not know. 70% of immune-system cells are located in your gut. That’s kind of a lot. If the majority of the immune system is located in your gut and your workout performance is dependent on your immune system, it’s especially important to nurture these immune cells. A happy gut is a happier body, so be sure you are delivering the nutrients your immune system needs to stay strong. In addition to eating a healthy, well-balanced diet, consider adding probiotics to the mix. The reason? “According to Gregor Reid, Ph.D., Professor of Microbiology and Immunology at the University of Western Ontario, probiotics can help reduce the duration of fatigue after intense exercise,” reported Men’s Fitness. According to the experts, the way it works is simple. A multi-strain probiotic works to re-balance your depleted gut microbiome, replenishing it with good microorganisms. With your microbiome restored, the 70% of immune-system cells that live in the gut will become strong and healthier. 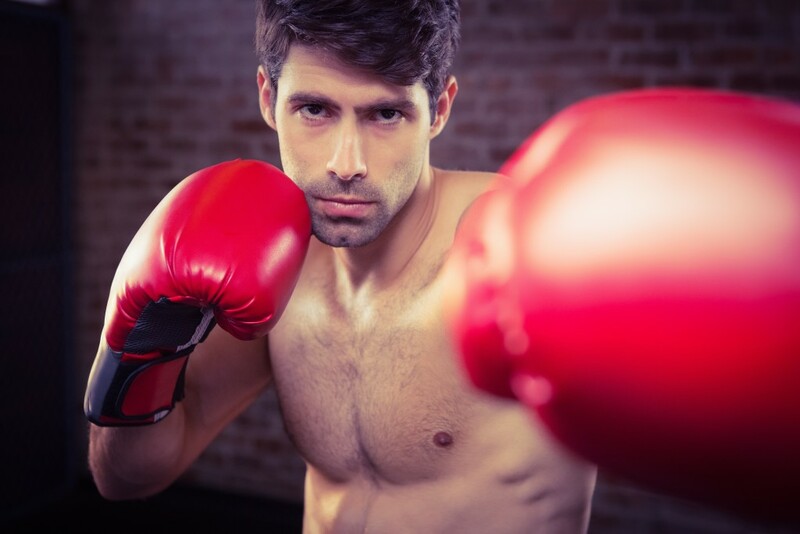 From there, the results are in your performance after a high-intensity, exhaustive workout that would otherwise leave the body’s immune system compromised. A high-functioning immune system means you can be back to doing what you do best: Training. The better you train, the better you perform. Probiotics can help you achieve both, researchers believe.